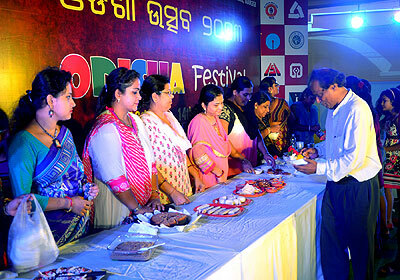 It seems like just yesterday, when a small group of ODIA cultural enthusiasts hit upon the idea of bringing before the Kolkatans, the best in Odisha's cultural heritage. That was the beginning of the journey in 2003, with the birth of UTKALA, the organization. More than a decade down the line, the festival, having been baptized by fire, has overcome all kinds of trials and tribulations, has grown in stature and has carved out a niche for itself in the cultural calendar of this great city. Coinciding with the annual Ratha Yatra of Lord Jagannath, from the day he starts his sojourn till he comes back to His abode a festival named "Odisha Festival" is held to bring some glimpses of Odisha's cultural heritage to Kolkata. 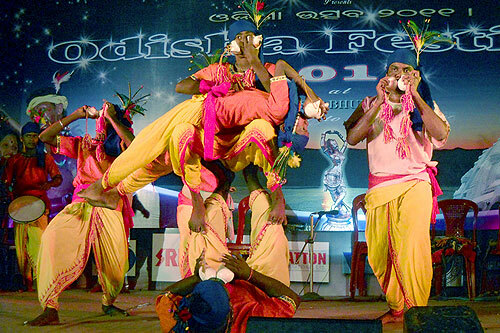 In these eight days, the finest of Odisha's performing arts- from Odissi dance to pulsating Tribal Drums accompanying its many folk art forms will be presented to the Kolkata Audience by nationally and internationally acclaimed artists. Besides this, the flavours of Lord Jagannath's kitchen through mouth-watering dishes, the intricately woven fabrics of Sambalpuri and Kataki fabrics as also the inimitable Pipili appliqué work will be available to spoil the visitors for choice. Like other years, this year too, UTKALA brings to you ODISHA, in all its cultural splendour from the 26th June to 2nd July 2017 at the SWABHUMI. 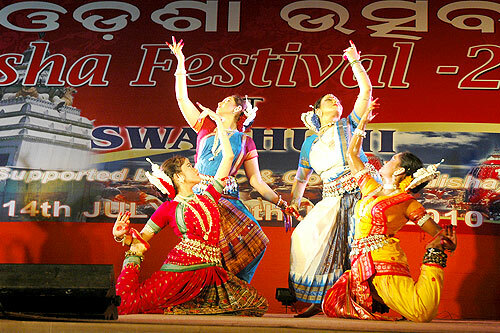 On the inaugural day of the Odisha Festival, i.e, 28th June, "Utkala Samman" will be awarded to Dr. Achyuta Samanta, KIIT. Painting competition among youngsters, Dance competition to encourage our budding artists, Culinary arts competition of the ethnic variety Kheeri-Peetha, Seminar on traditional arts and crafts, apart from the enthralling performances in the evenings we will be part of this festival. Your patronage and support has made it possible for us to conduct this festival year after year, for the last 14 years. We are sure you will not hesitate to do so this year too. 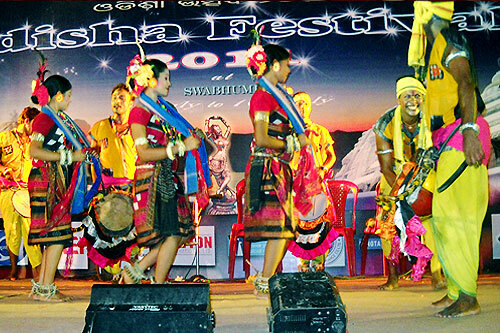 Let us join hands in presenting ODISHA FESTIVAL this year like never before. Utkala is a Non-profit, charitable, social and cultural Society registered in the year 1988 under the West Bengal Society's Registration Act. 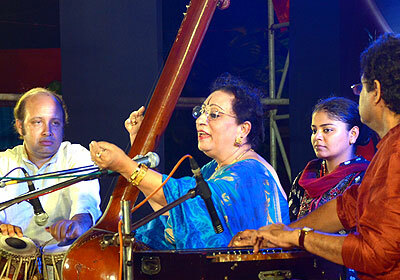 > 2003 - Ms. Sunanda Pattnaik, Famous Classical Singer of India - by Hon'ble Governor of West Bengal Dr. Viren Shah. > 2004 - Guru Kelu Charan Mahapatra, the Odissi Exponent- by Shri Subhas Chakraborty, Minister of Sports and Youth Affairs, Govt. of West Bengal. > 2005 - Padmashree Chaturbhuj Meher - famous Odissi Saree designer - by Sri Damodar Rout, Hon'ble Minister, Govt. of Odisha. > 2006 - Sri Jatin Das -the Painter, of international repute - by Hon'ble Governor of West Bengal, Sri Gopal Krishna Gandhi. > 2007 - Padmasri Sudarshan Sahoo - outstanding contribution in the field of Sculpture - by Sri Manmohan Samal, Minister, Government of Odisha. > 2008 - Pandit Raghunath Panigrahi - Geeta Govinda exponent and famous musician - by Sri Kharabela Swain, MP. > 2009 - Dr. Dinanath Pathi - Famous artist & art Critic - by Hon'ble Governor of Odisha, Sri Chandrakant Bhandare. 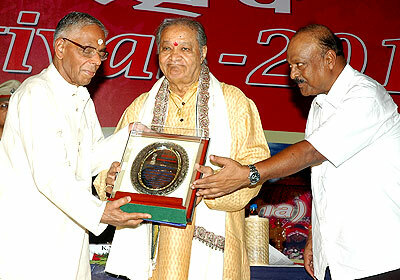 > 2010 - Pandit Hari Prasad Chourasia - The Flute Maestro par excellence by Hon. Governor of West Bengal, Sri M. K. Narayanan. > 2011 - Late Guru Gangadhar Pradhan - the ODISSI exponent-by the Hon'ble Governor of Assam Sri Janaki Ballav Pattnaik. > 2012 - Sri Sudarshan Pattnaik - the SAND SCULPTOR par excellence by the eminent Industrialist Sri H. P. Kanoria of the SREI group. > 2013 - Dr. (Smt.) Pratibha Ray - eminent LAURETTE & WRITER - by Hon. Governor of West Bengal, Sri M. K. Narayanan. > 2014 - Shri Debi Prasanna Pattnaik - the eminent laureate and linguist - Sri Dharmendra Pradhan, Ministry of Petroleum & Natural Gas, Govt. of India. > 2015 - Shri Santanu Mohapatra - a famous Music Composer and Director, by Governor of West Bengal Shri Keshari Nath Tripathy. > 2016 - Smt. Jharana Das - prominent Odiya Cine artist of yesteryears.